In part 1 of our study of Robert Menzies' 1942 radio speech 'The Forgotten People', we observed how Menzies defines the allegedly forgotten Australian middle class through the metaphor of 'homes' – 'homes material, homes human, homes spiritual' – and suggested that we can learn a bit about the housing policies both of Menzies' era and of today by reflecting on what Menzies had to say under these headings. So we discussed Menzies' idea that 'homes material' were homes privately owned and financed – albeit with very considerable assistance from the state. Under Menzies, this assistance came in the form of loans on very generous terms from the War Service Homes Commission to ex-service personnel, and through the partial-transformation of the public housing system into an instrument of owner-occupier assistance, with 30 per cent of Commonwealth funds under the Commonwealth-State Housing Agreement being redirected to building societies and similar institutions, and a huge program of sales of dwellings – such that by 1969, the NSW Housing Commission had sold about a third of all the dwellings it had ever built. 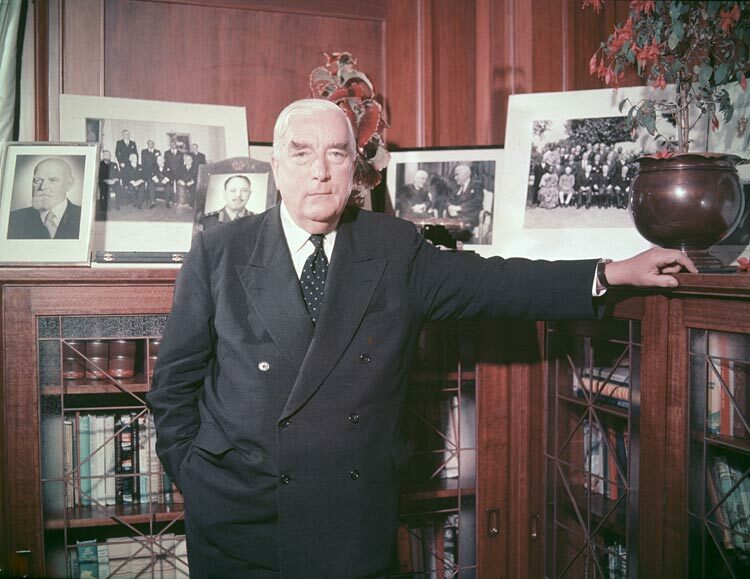 Each of these forms of assistance contributed mightily to the achievement of a home ownership rate of 71.4 per cent in 1966 – the year Menzies resigned. Now (coincidentally, on what would have been Menzies' 118th birthday) we consider 'homes human' and 'homes spiritual'. In this flighty and allusive passage, Menzies ambiguously connects homes and family life: it can be read to suggest that he means to exclude tenants from feeling the 'great instinct' to be home with partner and children and to give them a chance in life. We'll leave that to one side and assume that both homeowners and tenants love their children. (By the way, on the most recent figures available, about 60 per cent of households renting are families, and about two-thirds of them have dependent children). But let's take 'homes human' as a point from which we might view Australian home-ownership in generational perspective. We're guided here by Judith Yates's short 2007 paper, 'Affordability and access to home ownership: past, present and future? ', which starts with the generation of homeowners and prospective homeowners addressed by Menzies. 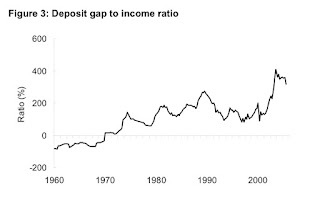 In the 1950s and 60s, the median house price was 3-4 times the average income, and such an income was more than enough to service a loan for the median house price – so theoretically there was no gap that had to be covered by a deposit from the purchaser's savings. 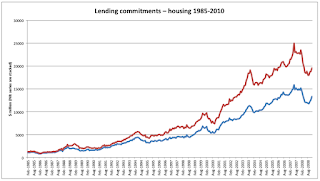 Housing interest rates were regulated by the Government, and about 30 per cent of all housing loans were subsidised by governments, too, through the CHSA or the War Service Homes Commission. The economy was growing, unemployment was low and, we've seen, home ownership was accessible to a large majority of the population. Since then, the rate of home ownership has declined (it's now 68.1 per cent). Not by very much overall, but that's because only Menzies' homeowners and their homeowning children – the baby boomers – have lived longer than previous generations. Amongst younger households, rates of home ownership have fallen signficantly. This is not just a matter of preference. 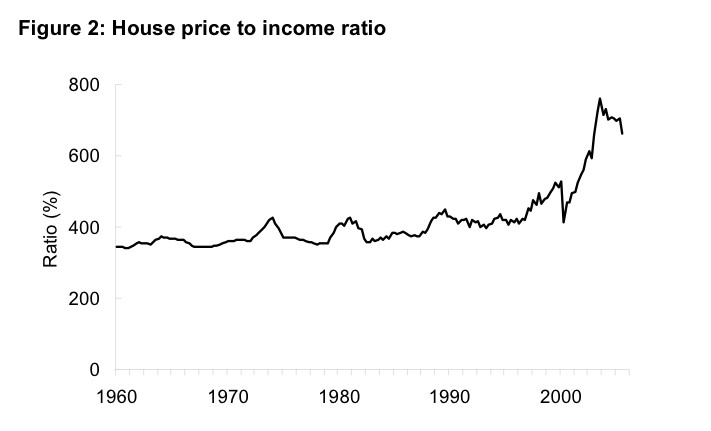 On Yates's measures of affordability (the median price/average earnings ratio) and accessibility (the number of years of average earnings saved to cover the 'deposit gap'), home ownership has become less much less accessible and affordable over time. What happened? First, in the 1970s, the golden years of postwar growth ended; state interventions in the economy came to be seen as the cause of rigidity, transmitting merely inflation and not productive adjustments. 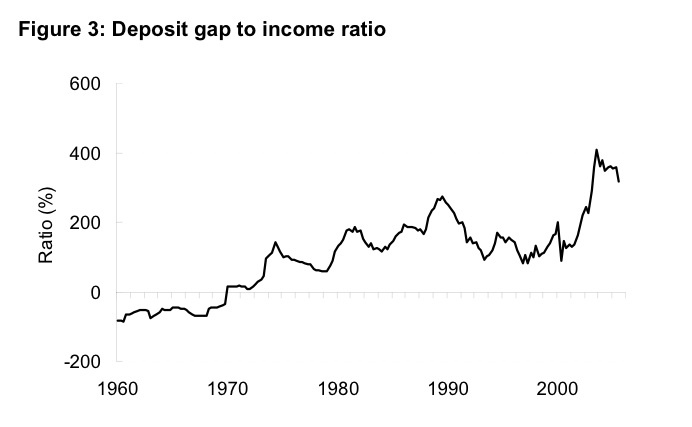 Deregulation and, at least at first, higher interest rates followed, and the deposit gap opened up. 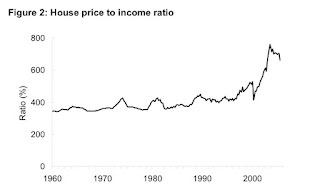 For those setting up house now – the baby boomers, the children of Menzies' home owners – the accessibility of home ownership became a little less equal. 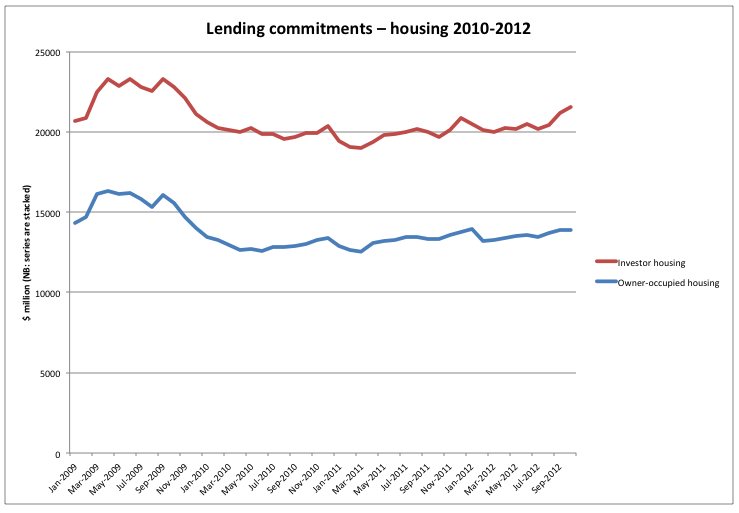 The housing system had always made winners and losers, but now the stakes were somewhat raised. Since then, over time and at various points, government support for home ownership has changed and became support for homeowners, to the detriment of those wanting to get into home ownership and ultimately for the incidence of home ownership generally. In particular, in the mid-1980s, there was the tax reform of the Hawke Labor Government. One part of the reform was a capital gains tax – but not on owner-occupied housing, thus making housing privileged amongst assets and encouraging those with money to spare to spend it on their own housing. Capital gains tax would be payable by landlords on their rental housing, but where owner-occupiers with money to spare go, speculator landlords will follow. Another part of the reform would have quarantined speculators' deductions for negative gearing to rental income only; however, after a campaign of shrieking and wailing by landlords and agents, this entirely sensible restriction was abandoned and a further spur to speculation given. In the 1990s, interest rates declined – but with tax policy set on encouraging speculation, this lead to bigger loans and higher house prices. Then, around 2000, there was the tax reform of the Howard Coalition Government, one part of which was the halving of the rate of capital gains tax: in other words, any money made speculating on asset prices would henceforth be taxed at half the rate of any money made through work or saving at the bank. Where previously the alchemy of negative gearing transmuted income into capital, so that the speculator's tax liability was deferred (to such time as the capital gain was realised), now the speculator's tax liability was deferred and halved. Encouragement to speculate was turned up to 11. With an eye now turned to retirement, baby boomers levered, on the basis of their own substantial housing equity, a shedload of money into the housing market, bidding up each other and owner-occupiers too. 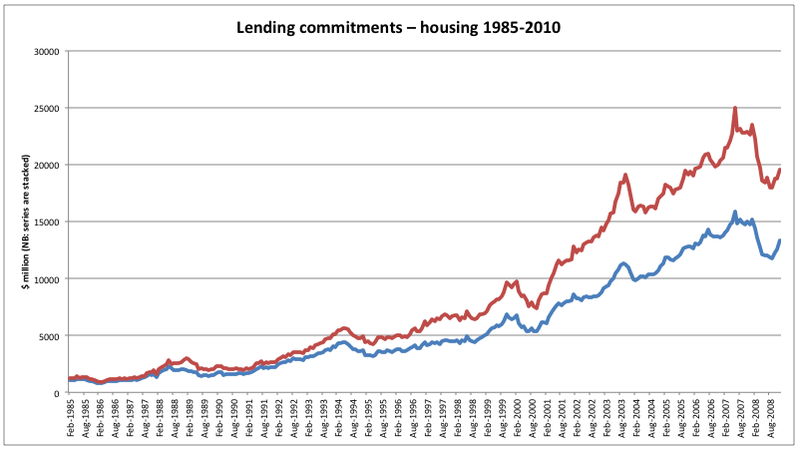 Look at all the borrowed money tipped into housing. So much of that money has been sunk there in the hope or expectation of a speculative pay-off: that someone, some time, will come along and pay even more. 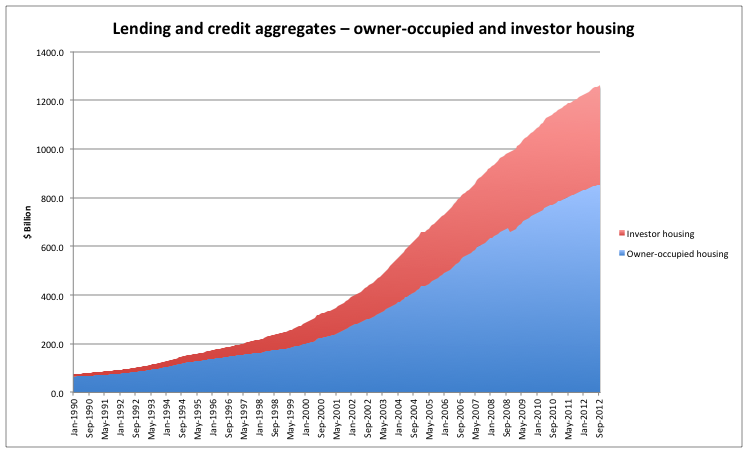 We should admit that there must be a spectrum of dreams and emotions represented here: some speculator landlords are just rampantly greedy, while others have seen rising prices and worried for the housing futures of their children – so they've borrowed up and bought in too. Of course, in doing so they've contributed to the present problem of unaffordable homeownership, and distorted the rental market to the disadvantage of low-income renters, undermined the tax base, and voted for the reduction of public housing from being, in the first place, an alternative to homeownership, to Menzies' handmaiden to homeownership, and then to a marginalised poverty trap, to boot! These speculators might love their children, but they've been less than kind to other people's children. And finally, we have homes spiritual. This is a notion which finds its simplest and most moving expression in "The Cotter’s Saturday Night" of Burns. Human nature is at its greatest when it combines dependence upon God with independence of man. For many years now, the dominant principles of the housing market have not been 'frugality and saving' – quite the opposite. Wild borrowing and something-for-nothing speculation have driven it to its present point, where it no longer provides ownership on reasonable terms for most low-moderate income households. Sixty per cent of low-middle income 25-44 year-olds are out of homeownership – and so too are 45 per cent of low-income 45-64 year-olds (these figures from research by Baker and Flood). Of those lower income households (ie lowest 40 per cent) who have gotten into homeownership – probably because they've figured that they should buy now before affordability gets worse – nearly half (48 per cent) pay more than 30 per cent of their income in loan repayments; more than one quarter (27 per cent) pay more than 50 per cent (these figures from the National Housing Supply Council). Certainly these housing-stressed households will feel that they are making painful sacrifices, but there's considerable doubt as to whether they're actually 'saving' at all. Same goes for the outright speculators. 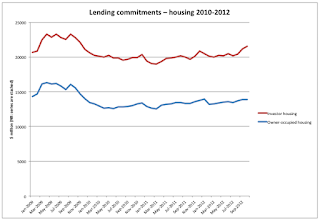 Over the past couple of years there have been signs that the ground is shifting beneath our high house prices, built as they are on foundations of debt that continually need to be reinforced with more debt. That 'emotion of the crowd' – the mixture of hope and fear that prices will keep going up, because someone, some time, must come along and pay more – has been shaken, and with it the actual prospect of such a pay-off. It may be that those with the best claim to be living in Menzies' 'home spiritual' of responsibility, frugality and saving, are tenants.